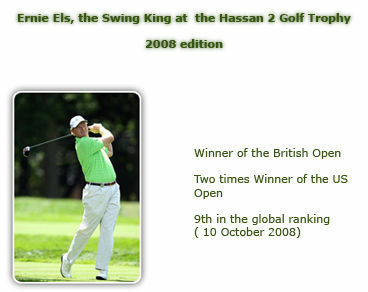 Ernie Els of South Africa competes in the 36th Hassan II golf trophy on November 9, 2008 in Rabat. Irish Paul McGinley tees off during the 36th Hassan II golf trophy on November 9, 2008 in Rabat. Swedish Johan Edfors tees off during the 36th Hassan II golf trophy on November 9, 2008 in Rabat. Merci pour cet article, j'attends la suite avec sur ERNIE, WHAT ELS ! Je suis 100% d accord, j'apprécie votre style. sur Swedish Johan Edfors tees off during the 36th Hassan II golf trophy on November 9, 2008 in Rabat. Rabat – Morocco, February 17, 2008 – The Moroccan golf has shown encouraging progress over the past years under the wise leadership of His Royal Highness Crown Prince Moulay Rachid who established the Kingdom of Morocco as one of the best golf countries in the world. The visions of His Royal Highness has provided an inspiration for many who were looking to invest or work in the golf industry or learn from the ideas and best practices. Highlighting the importance of building confidence and vital awareness for development of the culture of golf, the Royal Golf Dar Es Salam has ambitious growth plans for this year, which is a key to the golf swing in Morocco. Based on the vision of His Royal Highness, during the past years the Royal Golf Dar Es Salam was able to achieve a number of milestones in the field of organizing and sponsoring events that support the golf players in particular and the society in general. The Royal Golf Dar Es Salam offers a unique sport, social and economic opportunities for all involved in golf industry from around the region and world to network, share most excellent practices, reveal creative edge and underline award-winning work. Competition program of the Royal Golf Dar es-Salaam includes upon invitation venues American school cup and Diplomatic Trophy, lucrative Jewelers Trophy and cross-cultural relationship Portuguese Cup and Italy Cup, among others. His Royal Highness who gave a big boost to golf when he started competing in his early age has established Morocco as a force in golf and at the same time provided social and economic opportunities at a grass root and global levels through pioneering ideas. 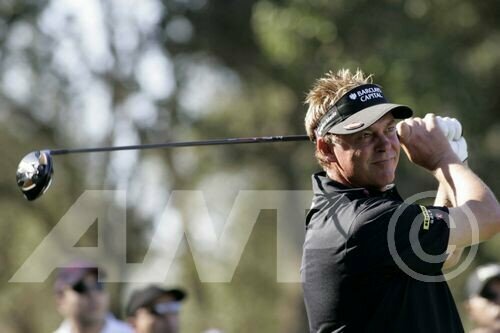 L'Irlandais Darren Clarke tees off during the Hassan II Golf Trophyin Rabat 28 October 2007.